When discussing penguin conservation, one can’t help but notice that almost all of the major factors affecting penguins in the wild—such as global climate change, overfishing, and loss of habitat—are caused in some way by humans. While it’s true that human activities have had a negative impact on penguin populations, humans can also be their greatest ally. One example of humans helping penguins comes to us from Oamaru, New Zealand. In Oamaru there is a colony of little blue penguins that has set up in an abandoned rock quarry. 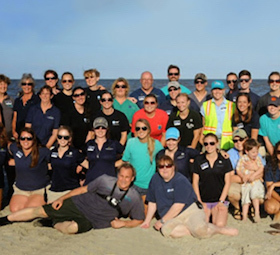 If little blue penguins seem familiar to you, it’s because they are! 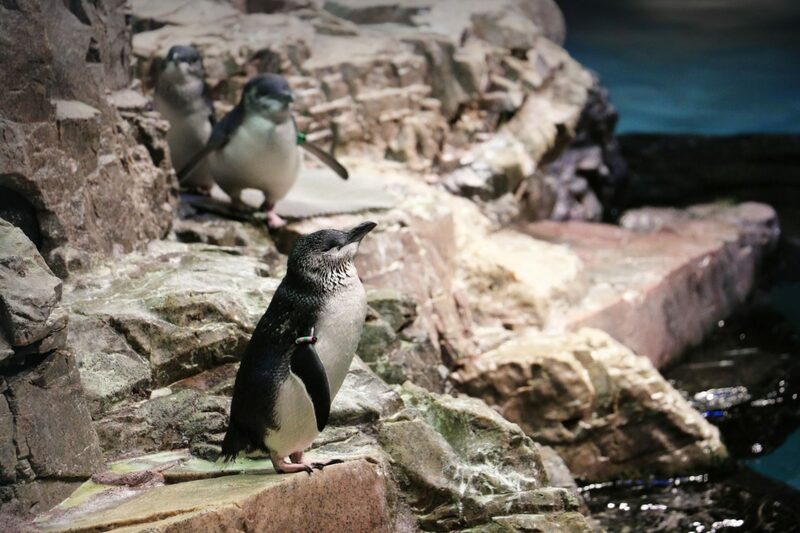 Little blues are one of the three penguin species that call the New England Aquarium home. We even have our own little blue penguin named Oamaru, after this very breeding colony site in New Zealand. 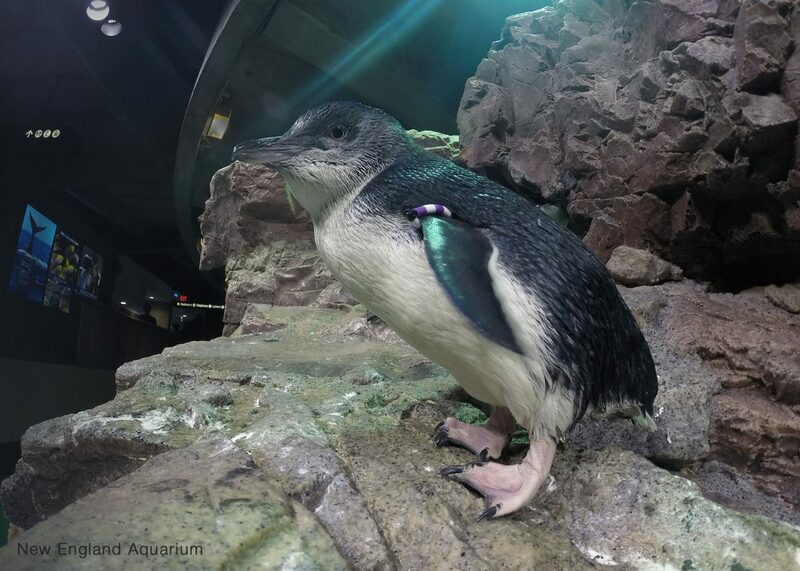 A little blue penguin stands in the Level 1 exhibit at the Aquarium. This colony in New Zealand had one major drawback though. A busy road runs between the colony and the ocean. This meant that penguin parents were forced to risk the dangerous crossing in order to go out to forage for their chicks on a daily basis. Penguin parents feed their offspring by first consuming the food themselves, and then bringing it home to be regurgitated for their chicks. This means that foraging is not only necessary, but also time sensitive. 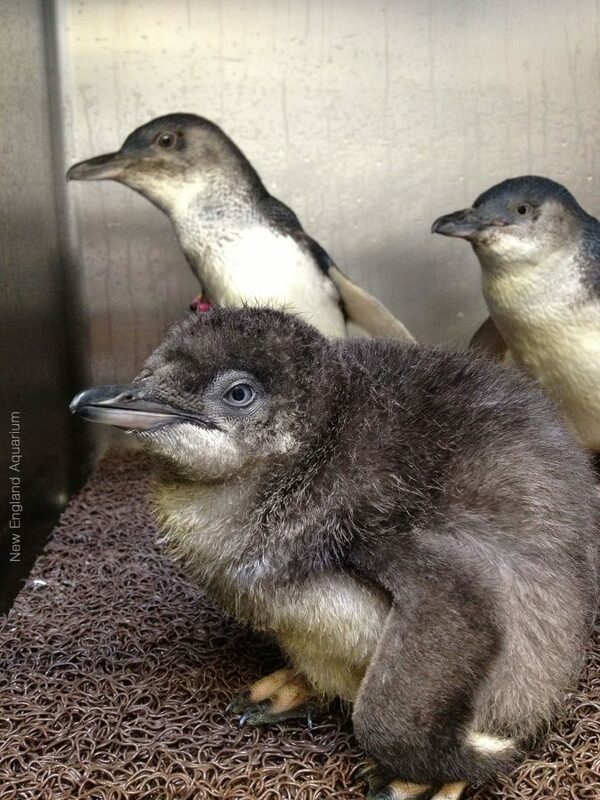 Even penguin parents at the Aquarium regurgitate their meals to their chicks so they can grow big and strong. Luckily their meals get hand delivered to them by our team of staff and volunteers. In order to fix this challenge for their resident little blues, the community in Oamaru decided to build the penguin colony their very own underpass, creating a safe commute via an underground tunnel. The project involved moving power and water lines in order to position the tunnel where the penguins were proven to come to land most frequently, but has proven very successful. The penguins began using it almost immediately and have continued to enjoy their safe trips to and from the ocean. This underpass not only means safety for the individual penguins, but also helps to improve the chances of reproductive success which means a better future for the species overall. Watch a video of little blues using the tunnel! 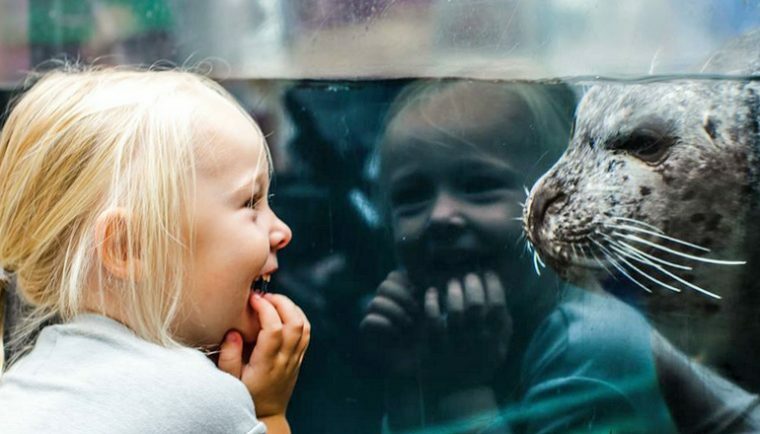 The efforts made by the residents of Oamaru on behalf of their little blue penguin colony are one great example of how humans can have a positive impact on these amazing animals. 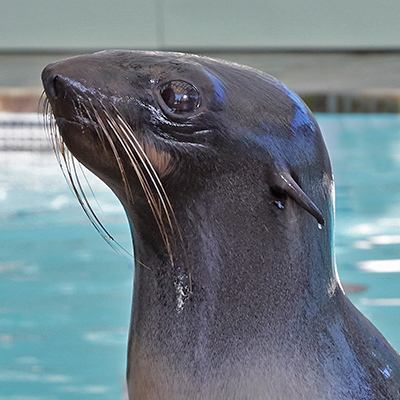 There are many other simple acts that can be done in our day to day lives that can have a huge impact on these animals out in the wild, things such as recycling, carpooling or taking public transport to reduce carbon emissions, and choosing sustainably caught seafood. 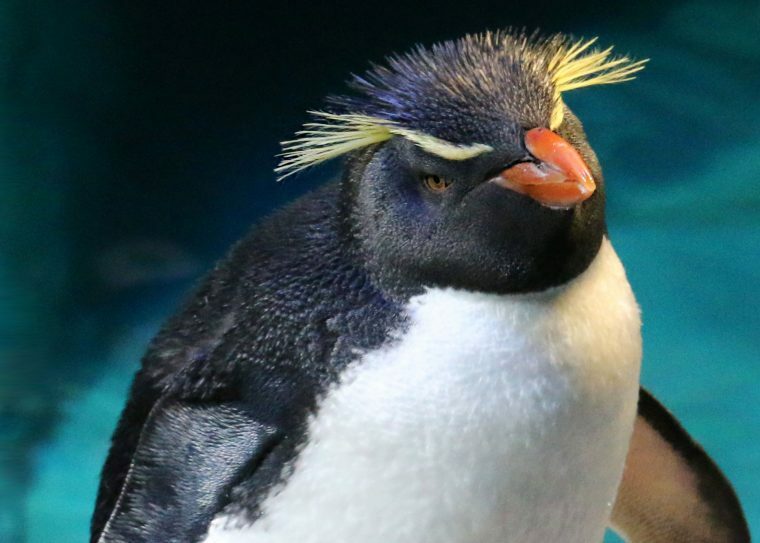 Come by the New England Aquarium and catch one of our penguin presentations to get yourself acquainted with our own colony and what you can do to help, and see if you can spot Oamaru! 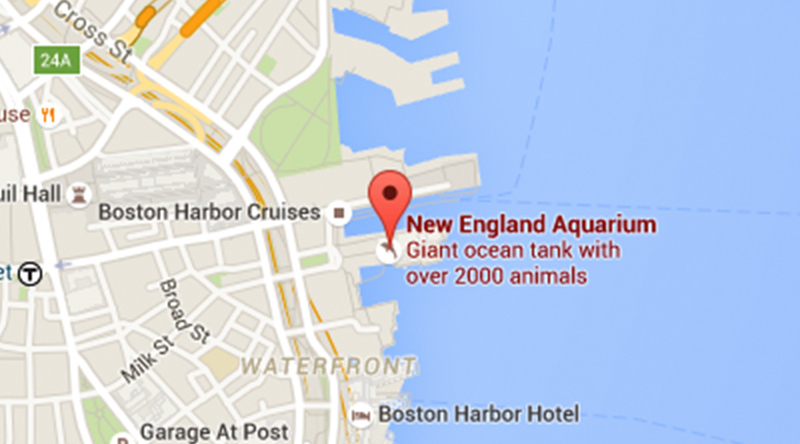 Try to find Oamaru the little blue penguin during your next visit to the New England Aquarium.